After that, His Holiness chose Hazoor Pita Saint Dr. Gurmeet Ram Rahim Singh Ji Insan as his successor in order that the devotees could be served and protected; meaning to say that the Divine Spirit in the form of Hazoor Pitaji again started taking care of Its souls. 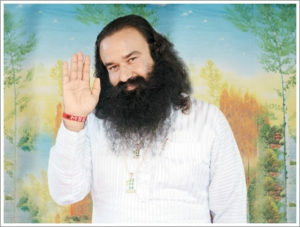 Today Dera Sacha Sauda is making progress in leaps and bounds. 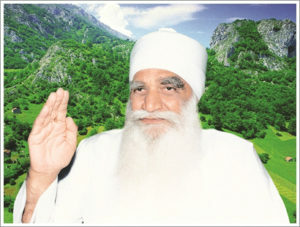 The number of its devotees has reached crores. Also, under the holy leadership of Sant Gurmeet Ram Rahim Singh Ji Insan, Dera Sacha Sauda has become an incomparably effective social service organisation. 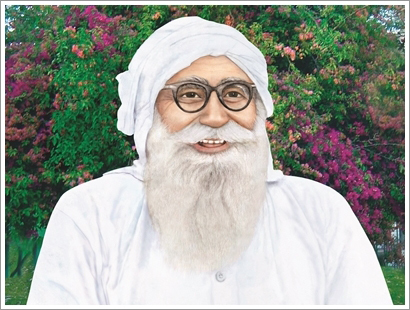 This organisation that has transformed lakhs and lakhs of homes that had become hells, into heavens, has created many a record in the field of social service under the holy leadership of Hazur Pitaji. Providing water, food, clothes, etc. to the needy; reconnecting with society the tribals of Rajasthan who had been cut off from it and had been living the uncivilized life of our early ancestors, adorning them with the ornament of education, and assimilating them into civilized society; teaching people who were caught in the quagmire of drugs and crime the true purpose of their lives and reabsorbing them into mainstream society; reaching people who had lost their everything in natural disasters, wiping their tears, and doing everything possible to rehabilitate them in spite of the dangers and discomforts involved in such relief activities; organizing blood donation camps at regular intervals to supply blood to the ailing (for which the organisation holds two world records for the maximum units of blood donated in a day); organizing free medical treatment camps in villages and cities from time to time; helping girls from poor families to marry; constructing houses for the homeless; and helping provide education for poor yet talented children are some of the many welfare activities that Dera Sacha Sauda is carrying out with untiring zeal.